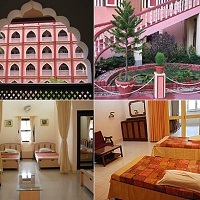 ISKCON Mayapur has five guest houses with varieties of rooms: standard, deluxe, super deluxe, a/c rooms, Â and dormitories to accommodate the pilgrims and visitors to Mayapur. The following guest houses that we have available for online booking areÂ Conch, Gada, Vamsi and Gita Bhavan. The Conch building is attached to the temple, the Gada building is about a 5 minute walk from the temple, and the Vamsi building and Gita Bhavan is about a 7-10 minute walk from the temple.